Confluence is hugely valuable and once you have started using it it’s hard to imagine going back to a time before Confluence. However, the more actively it is used, the more often teams will request specialized functions. It's possible right now! The Atlassian Marketplace has hundreds of Confluence apps with enhanced features ready to use: from small tools for very specialized applications to larger solutions. These apps will extend your Confluence system and provide more functionality to help more of your employees, even those who want specialized features! App prices can vary, and many are free of charge. Every organization creates technical documentation, instructions, and processes. Most of the time this is a tedious task that can take hours: you need to take multiple screenshots, add captions and explain how to use the tool, and upload each screenshot as an attachment of a Confluence page. And you still need to edit these pages, until they are finally accurate! Step-by-Step Guide Creator by StepShot makes this easy: it includes practical desktop clients where you can take screenshots and add annotate them with just a click of the mouse. The integrated editor lets you use elements like color, text boxes, surfaces, arrows, and lines to your screenshots, and with one click, you can save everything to a Confluence page. Try it, and see for yourself how much better this is! The StepShot Guide Creator is a very effective and efficient solution for teams that systematically need to document processes. Every organization needs to work with diagrams. However, standard solutions, whether they are web tools or standalone desktop software products, don’t let you efficiently collaborate, your diagrams are also not in one central location, and the different versions of your diagrams are not tracked - how will you reverse a change someone made in error? draw.io for Confluence solves these problems! The app is not just a professional, functional and user-friendly tool that lets you collaborate on a wide variety of diagrams. It also meets the important requirements that organizations demand: auditing capabilities, centralized file storage, and the ability to import diagrams in many other formats. Confluence is there to strengthen the transparent and open collaboration within teams. However, some organizations have strict internal regulations, and are not “open by default”. Maybe content must go through a series of reviews and approvals before it is published. Or perhaps your organization uses Confluence for their public website. Users are not allowed to simply publish pages, but instead must follow an approval process. Comala Workflows provides you and your organization with structured approval processes, where you can administer the status of any page, add review comments, create team tasks, view automatically generated reports, and more. Comala Workflows fulfills various ISO compliance standards and is well equipped to meet the quality management requirements in large enterprises. When you have a Confluence instance that has many users who are actively using the system, it’s likely the content will become cluttered over time. You’ll have to use increasingly complicated searches to find what you are looking for, you’ll see a lot of redundancy or similar pages where it’s difficult to determine which content is more recent, amongst other problems. 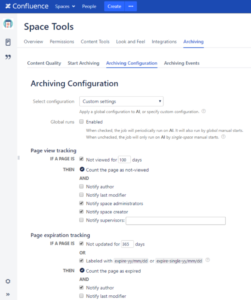 The app offers granular and configurable automatic tools that find pages that are no longer up-to-date, and can flag pages to be reviewed after a certain period of time without changes and/or without views. Note that pages do not get deleted, but archived - including their comments, attachments, tags and version histories. Atlassian develops its software with the focus on teams that create software themselves. These teams need to extensively document their software products for their clients. Release documentation for complex applications, which are in continuous development, is non-trivial. Scroll Versions was created to provide clear version management specifically for software documentation. Scroll Versions supports you through the planning, creation, administration and publication of content. 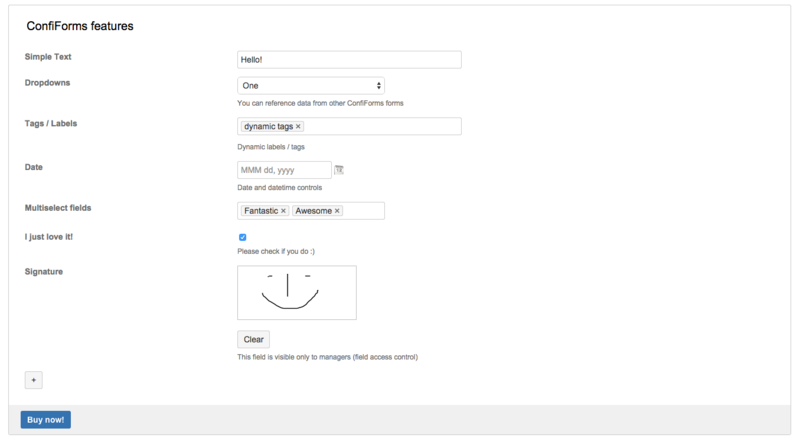 In fact, Atlassian uses Scroll Versions for their official documentation – not a bad reference! In many organizations, content is managed in one of two ways: on the one hand, there’s Confluence with its open creation of dynamic content, and on the other hand, you’ll find Microsoft Office with its closed and static Word documents. 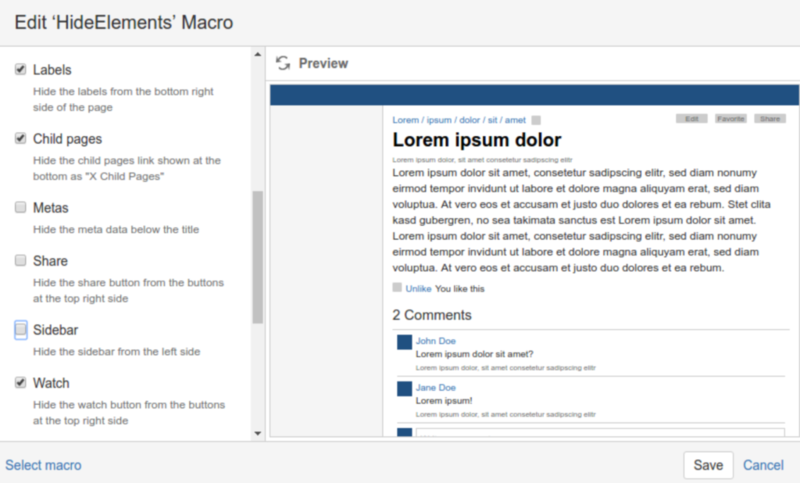 GoEdit brings both approaches together: You can edit Office documents from directly within Confluence. Click on an attachment link and Microsoft Office will open the file so you can now make changes to the document just like you are used to. After you save your changes, an updated version of the Office document will be saved automatically in Confluence. You’ve probably heard a lot about how static Office documents are dead. But anyone who is familiar with corporate reality, knows that this is still far from the truth. Right now, the GoEdit app lets you fully integrate Office documents into Confluence. You can more easily skim and scan long pages when they have a clear structure. This of course also applies to Confluence pages. Avisi has created Numbered Headings, a fairly small, but valuable tool for teams that need automatically numbered headings! This app adds a button to the the editor’s toolbar. You do not need to insert macros or make any other manual changes - simply use this button! Headings will retain their numbering when you export or print the pages. That’s practical, and their basic version is free! There are many situations where you may not want to display certain Confluence page elements. Perhaps your Confluence system is (partially) publicly accessible. Maybe you want to increase usability and decrease the clutter on a page. Or you might simply want the reader to focus on just the content of a very important page. HideElements lets you hide individual or even all elements of a page or blog post. From the breadcrumbs at the top to the comment section at the very bottom. You can define unwanted elements in the macro configuration, without needing to modify the CSS yourself. As a result, your pages have a clean, well-structured layout that meets your requirements. Tables are not really the strong point of Confluence – the options are quite rudimentary. This however does not prevent teams from creating powerful and elaborate tables in Confluence. 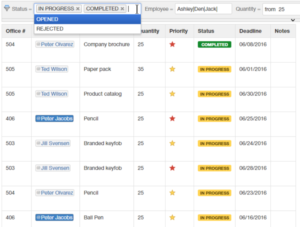 You simply can’t filter them using Confluence’s native features. Table Filter and Charts provides exactly this functionality. The app lets you filter complex tables with both simple and more advanced filtering options, and present the data in the form of pivot table reports und dynamically updated diagrams. Table Filter and Charts lets you effectively analyse your data, saving you a lot of time and effort. Organizations always need to use forms, both internally and externally: polls, registration forms, inventory forms, surveys, employee checklists, and entry and exit forms. ConfiForms by Ventura lets you create forms of all sorts in Confluence – including workflows, custom layouts, validation rules, with many different integrations (Jira, email, etc. ), and more. It even respects permissions, right down to each separate field within a form. You can format the submitted data in different ways: as tables, lists, or maps, with sorted, filtered, or aggregated values. There is one essential reason why ConfiForms is better than any other online tool embedded in Confluence: With ConfiForms, all of your data is saved to your server, so it is always under your control. Would you like to learn more about any of these Confluence apps? Perhaps you want to test or license one? Then don’t hesitate to get in touch with us! We are Atlassian Platinum Experts and can offer you support for all Atlassian products and Marketplace apps.